Baird, an employee-owned international financial services firm, will host its 34th annual Growth Stock Conference in Chicago May 7-9. The conference will bring together institutional and private equity investor attendees to hear presentations from more than 140 of the fastest-growing companies. For more information on the conference follow @BairdConferences, #RWBGrowthStock. As a preview to the conference, Baird spoke with Exploration and Production (E&P) Senior Research Analyst Hsulin Peng about the continuing North American energy boom and what opportunities exist in the sector, particularly among the small- and mid-cap players. In your annual outlook note, you describe 2013 as “the year of development and scale” for E&P companies. Can you explain? Since “shale-mania” first began in the early 2000s, much of the focus in the E&P capital markets has been on who leased what land and where. Emphasis has been on leasing acreage in the latest and greatest new shale area, and less about optimizing extraction of the underlying resource. We believe that focus will shift this year, making 2013 the year of development and scale. The industry is finally on the verge of harvesting the fruits of its initial investments in its land positions, infrastructure build-outs and technical advancement of the past several years. Big oil and gas shale players will move further into manufacturing after successfully building up acreage positions, underscoring the benefits of scale and efficiency. Which companies – particularly those smaller, growth-oriented names that might not garner as much attention as their larger peers – look particularly strong? Kodiak Oil & Gas (KOG), which has accumulated a meaningful acreage position in the Williston Basin targeting the oil-rich Bakken and Three Forks formations, offers investors an excellent opportunity to gain small-cap pure-play Bakken growth exposure. The company is focused on driving cost efficiencies while still posting explosive growth. In addition, Kodiak is one of the companies currently testing down-spacing in the Bakken, which involves putting 12 or more wells on a single drilling unit – the standard is eight – with dual goals of creating additional cost efficiencies and increasing the amount of oil recovered per acre. Halcón Resource (HK), an emerging oil growth story, has key assets in the Woodbine, Williston, Utica/Point Pleasant TMS, Miss Lime that include both unconventional and conventional resource plays. Halcon is set to execute on an aggressive production growth ramp over the next year few years with 2013 production growth currently pegged at a stunning 350%. Triangle Petroleum (TPLM), a pure-play Williston Basin E&P, has a relatively differentiated strategy, focusing on vertical integration as a way to become the low-cost operator in the basin. To that end, Triangle also internally owns completion services (Rockpile) and fluid logistics (Caliber) business as a way to drive down cost and improve returns. This sector has received a lot of positive attention. What is the biggest overlooked or potential risk to investors? The key risks for the E&P sector – commodity prices, regulation, geopolitics, access to capital, services availability, and sufficient infrastructure/takeaway capacity – are well documented and understood by most investors. The more nuanced risks that often get overlooked by investors – and even management teams – include efficiency-induced commodity price ceilings and potential government interference prohibiting long-term sector expansion. On efficiency gain, producers continue to optimize drilling techniques and well placement, which is increasing production per well and therefore capital efficiency. E&Ps have yet to experience diminishing returns from optimization efforts, meaning supply continues to increase despite lower rig/well count. Ultimately we think domestic oil and gas supply increases at a more rapid rate than demand, which could lead to a supply-induced price cap of sorts. This is something the industry must address over coming years. One solution is to increase demand further to absorb the excess supply in the market. In terms of potential government interference, we think this could pose longer-term problems as the U.S. oil and gas industry becomes more globally intertwined due to shifts in the import/export dynamic in the coming years. For example, a liquefied natural gas (LNG) export ban or delaying key infrastructure build-outs, such as the Keystone pipeline, could limit the natural evolution of capitalism of domestic energy development and could present significant risks to investors. The oil and gas industry was incredibly active for M&A in 2012. Do you see that continuing in 2013? We expect the mergers & acquisitions (M&A)/joint venture (JV) market to remain active in 2013 as producers continue to allocate capital, streamline asset portfolios and drive economies of scale. For those players who do not have a dominant position in a leading play, the easiest way to acquire quality acreage is through M&A. However, activity could face some headwinds if costs of capital increase or if the bottom falls out from under hydrocarbon prices. How much does the “boom” of this industry depend on a good infrastructure system to refine and transport the product? How much depends on fracking and other technologies? A lot. On the oil side, we saw the pricing of Bakken crude fall last year as production dramatically outpaced the capacity of infrastructure to carry that oil. The impact of infrastructure is even more prevalent on the natural gas side since it can't be trucked or railed. This means that producers are forced to pace themselves to match both local gathering capacity and basin-level takeaway capacity. But we do believe the substantial amount of major pipe and rail projects coming online within the next five years will likely be enough to address the needs of growing unconventional volumes. The U.S. refinery picture will also need to change to handle growing shale volumes. Amid falling production over most of the last two decades, the U.S. refining system was largely upgraded to handle heavier crudes coming from Canada, Venezuela, Mexico and others. However, much of the oil production from U.S. shales is on the lighter spectrum of the oil barrel, leaving the refinery system temporarily mismatched with U.S. production additions. Over time the situation should improve as refineries continue to undertake projects to be able to handle greater volumes of light shale oil. An investment should not be made on this content, as this is not a complete analysis of every material fact regarding any company, industry or security. Pleaseclick here for a complete list of the companies Baird covers. 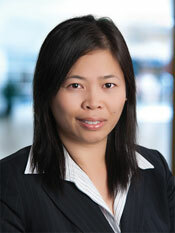 Hsulin Peng is Baird’s senior analyst covering Exploration & Production. Prior to joining Baird in 2010, she was a buy-side analyst at Luminus Management, an associate at Citigroup Investment Research, director/manager of corporate finance at the MLP Inergy, and an investment banking analyst at A.G. Edwards & Sons. Hsulin received a BS in Business Administration & Accounting and a Master’s in Accounting – Tax Track from The University of Kansas, and an MBA from MIT. Baird’s Research Department consists of approximately 125 research professionals covering more than 660 U.S. companies. Baird analysts have been recognized repeatedly in The Wall Street Journal’s annual “Best on the Street” survey and honored by StarMine as top analysts. Baird is an employee-owned, international wealth management, capital markets, private equity and asset management firm with offices in the United States, Europe and Asia. Established in 1919, Baird has more than 2,700 associates serving the needs of individual, corporate, institutional and municipal clients. Baird had $99 billion in client assets on Dec. 31, 2012. Committed to being a great place to work, Baird ranked No. 14 on FORTUNE’s 100 Best Companies to Work For in 2012 – its tenth consecutive year on the list. Baird’s principal operating subsidiaries are Robert W. Baird & Co. in the United States and Robert W. Baird Group Ltd. in Europe. Baird also has an operating subsidiary in Asia supporting Baird’s investment banking and private equity operations. For more information, please visit Baird’s Web site at rwbaird.com.